Ingunn has held manager positions such as Sales Manager and Director Sales and Marketing in international companies i.e. Hydro, Yara Praxair and Lantmännen Cerealia. She has extensive experience from sales, marketing and brand management. 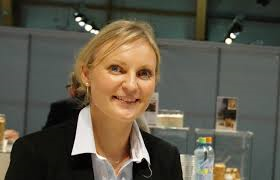 She has worked with market and product development in the food industry with focus on new concepts and solutions for the fish/seafood industry , the baking/grain industry and FMCG. She has received Yara Industrial Innovation Award for one of the patents acquired. In addition to leadership through coaching and developing teams, Ingunn also has experience from recruitment and executive search within entrepreneur sectors. Ingunn holds a degree in Environment – and Akva Engineer at Bergen University College, Faculty of Engineering and has Business Economics studies from the Norwegian School of Management.